Objective and Design: The effects of the anticytokine interleukin 10 (IL-10) are mediated by specific receptors. In this study we examined the role of the IL-10 receptor (IL-10R) in the pathophysiology of atopic eczema. 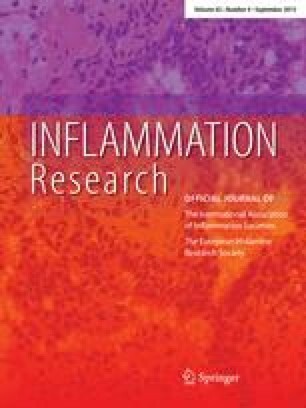 ¶Materials and Methods: For this purpose we analyzed the expression of IL-10R in the skin of patients with acute and chronic atopic eczema in comparison to the expression in healthy individuals using in situ binding experiments with fluorescently labeled IL-10 and semiquantitative reverse transcriptase-PCR specific for IL-10R1. In addition, we studied the influence of the Th2-associated cytokine interleukin-4 (IL-4), the Th1-associated gamma-interferon (IFN-γ), the immunosuppressive drug FK506, the H1-antagonist loratadine and UVA irradiation on the expression of IL-10R1 in cultured normal human keratinocytes. ¶Results: We found that IL-10 receptor mRNA and protein are strongly downregulated in acute phase atopic lesions. Furthermore we could show that IL-4, IFN-γ, FK506, loratadine and UVA enhance the mRNA levels of the IL-10R1 in vitro in normal cultured keratinocytes. We could also demonstrate restored IL-10R1 mRNA levels in lesional atopic skin of a patient after UVA1 therapy. ¶Conclusions: Our results demonstrate for the first time that IL-10 receptors may have a role in the pathogenesis of atopic eczema and its upregulation by FK506 and UVA could explain the therapeutic efficacy of these agents. Received 8 January 1999; returned for revision 2 March 1999; accepted by K. Brune 23 July 1999.